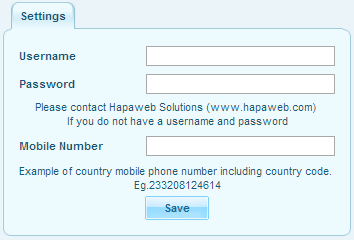 This page allows you to setup connection between your hapasis installation and our SMS platform. 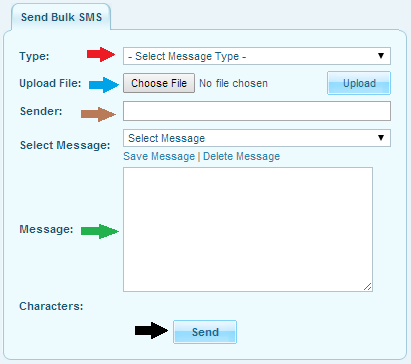 For you to fully enjoy the SMS module you are required to complete this configuration. 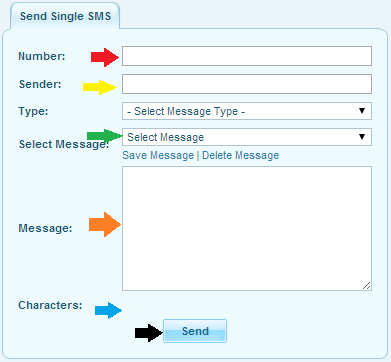 If you already have SMS account with Hapaweb, enter you details such as your “Username”, “Password” and “Phone number” to enjoy the SMS module. 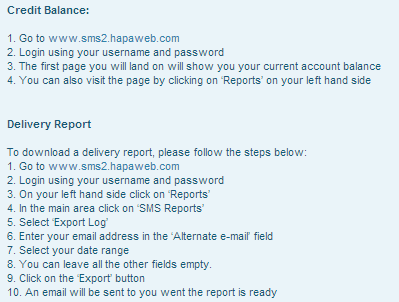 Note: Please contact Pepjoy Infotech (www.hapasis.com) If you do not have a username and password. 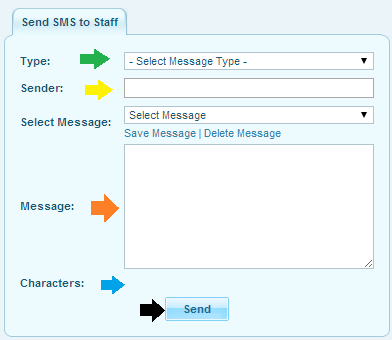 In the Sender field (see yellow arrow) enter the ID you want the recipient to see, for example, I will enter ‘HAPASIS’ if I am sending messages to HAPASIS clients. 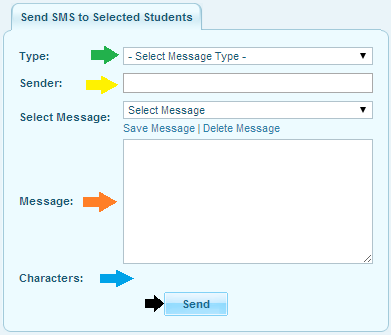 This facility is use to send Bulk SMS to students. Students Phone numbers are taken from their address book in Hapasis. Note: This facility may not be applicable in your school community. 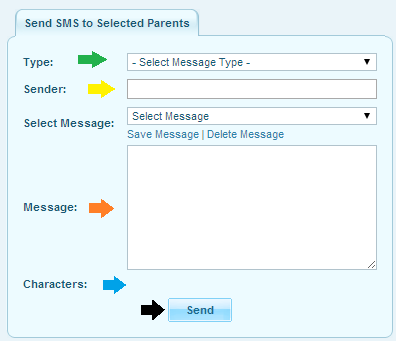 This facility is use to send students summary results to parents. Parents Phone numbers are taken from their wards address book in Hapasis. In the next screen, enter the ID you want the recipient to see, for example, I will enter ‘HAPASIS’ if I am sending messages to HAPASIS clients.